The first two sections of Milan’s first fully-automated driverless metro line (Line 5) are now operational. Carlo Bianco – Operations Director for Automatic Metro Lines at ATM – explains the reasons behind going driverless, the technology operating the trains and safeguarding passengers, plus future line expansion details. Established in 1931, the ATM Group (Azienda Trasporti Milanesi) manages the public transport network in Milan, serving an area with a population of 2.6 million people. With 760 million annual passengers, covering 170 million kilometres per year and with approximately 9,300 employees, ATM represents 10% of the local public transport in Italy. ATM operates a wide range of different transport services: four metro lines with 941 vehicles; 19 tramway lines with 553 trams; 120 bus lines with 1,434 buses; and four trolleybus lines with 164 vehicles. Furthermore, ATM manages 21 interchange parking spaces (SostaMilano), the car sharing system (GuidaMi), the bike sharing system (BikeMi) and the Como-Brunate funicular railway near Lake Como. ATM is also present on an international scale: the ATM Group, through the subsidiary company ‘Metro Service A/S’(a joint venture owned 51% by ATM SpA and 49% by Ansaldo STS), has, since 2008, managed the Copenhagen driverless metro – one of the first European fully-automated metro systems. This Metro, serving the Danish capital, originally opened in 2002 and now runs along two lines with 22 stations. In 2013, in collaboration with ‘Metro 5 SpA’ – the Concessionary company for the design, construction and operation of the metro Line 5 in Milan – and Metropolitana Milanese – the Engineering company of the Municipality of Milan, in charge of the project supervision – ATM inaugurated Line 5, the first fully-automated driverless metro line in Milan, called the ‘Lilla Line’ for its characteristic lilac colour. Line 5 is the first example of project financing for metros in Italy: the new line was designed and constructed by the consortium Metro 5 SpA, which has appointed ATM for the operations and maintenance of the line for 29 years. The impact of a new driverless line has long since been very clear among ATM’s management. For this reason the strategic decision to ‘emigrate’ to Denmark to operate the Copenhagen Metro was taken. This line, based on the same technology as Line 5, has permitted to ATM managers and technicians to gain familiarity with driverless operations and its technology. The Copenhagen metro has received some very important awards such as the ‘World’s Best Metro’ award in 2008 and 2010, plus the ‘World’s Best Driverless Metro’ award in 2008, 2009 and 2010. And the investment has paid back: Line 5 opened its first stage in February 2013 (from the northern Bignami terminus to Zara station (4.1km) with seven stations and a six-minute headway), achieving from the beginning a service availability close to 100% thanks to the important know-how and experience gained in Copenhagen. The second section of metro Line 5 from Zara to Garibaldi opened in March 2014, adding the two new stations of Isola and Garibaldi. The 2km-long new extension provides a connection at Garibaldi station with metro line M2, the Garibaldi railway station, including the city tunnel, and several tramways. The new Garibaldi hub also allows interchanges with suburban and regional trains, with high-speed trains (Frecciarossa, Italo and TGV) and the Malpensa Express (airport shuttle), making the new Porta Nuova/Garibaldi district one of Europe’s best-connected hubs, with a forecast of more than 25 million annual travellers. The new extension also connects the old neighbourhood of Isola – a historic district once inhabited by the working class – which is now facing a complete re-qualification with the installation of pedestrian and cycling areas, new parks and cultural centres. The connection with metro line M3 was already provided at Zara station. With the opening of the new extension of the Lilla Line 5, trains now run every three minutes during peak times and from four to six minutes in off-peak times. Revenue service runs from 6:00 to 24:00, as it is on the whole metro network operated by ATM. Daily ridership increased by more than 60%, carrying more than 50,000 passengers per day (from the previous 30,000 per day). The final stage of Line 5 will open in 2015, reaching altogether 13km and 19 stations. The extension will connect San Siro Stadium and provide a connection with metro line M1 in Lotto and with the suburban trains in Domodossola. Line 5 is equipped with an ATC system enabling a fully-driverless operation, supervised by a centralised control room, and stations are equipped with platform screen doors. Trains can carry up to 536 persons, with 72 seats and two spaces for wheelchairs. The system enables to carry more than 10,000 passengers per hour per direction (pphpd). Stewards are located along the line with customer service tasks and aid recovery systems in case of incidents. The UTO (Unattended Train Operation) driverless system allows the completely automated operation of the whole line and the safe control of all sub-systems (i.e. trains, signalling systems, switches, power supply, platform screen doors, station equipment etc.). Line 5 was designed and built in compliance with the latest European regulations, granting the highest safety standards to passengers. The system allows both the optimisation of the headway, according to the transport demand, and the reduction of costs and impacts. All platforms are separated from the tracks and trains with the use of platform screen doors which open only when the train has stopped in the station. Platform screen doors interact constantly with the trains: in case of failure of a platform screen door, the system prevents the opening of the corresponding train door and vice versa. Any unexpected opening of a platform screen door stops the train running along the track. Cameras and intercoms have been installed on-board all trains and in all stations, making it possible to both supervise the whole line from the control room, and for passengers to communicate directly with ATM staff. Each station is monitored by 42 cameras (14 on the platforms, nine in the mezzanine and 19 between the hall and the exits): all platforms, gates, elevators, escalators, corridors, vending machines and toilets are constantly monitored through the use of a CCTV system. Each train is monitored by eight cameras in order to ensure the maximum passengers’ security and to intervene promptly in case of emergency. Once the whole Lilla Line is open, it will be possible to carry between 15,000 and 18,000 pphpd, with an average demand of 6,500 to 7,500 pphpd. The theoretical minimum headway is 90 seconds, which can become 75 along the line. This is revolutionising the travelling times in the city: only nine minutes from Bicocca to Garibaldi; 11 minutes from Piazzale Lotto (future interchange station with M1 line) to Garibaldi. It will only take 26 minutes to cover the whole line from Bignami to San Siro, passing through many important areas in Milan, such as the Porta Nuova/Garibaldi district, the Isola neighbourhood, the Bicocca University, Corso Sempione, the new CityLife area and, last but not least, the well-known 80,000 seated San Siro Stadium. Line 5 helps also the environment: it is estimated that, at full capacity, the M5 line will lead to a reduction of 15 million private cars trips per year and, therefore, a considerable decrease of pollutants. It is also envisaged a saving of 8,470 tonnes of petroleum per year and a decrease of 260 city road accidents per year. With the latest opening of the metro Line 5 and other relevant extensions of the metro lines M2 and M3, Milan’s metro network increased in the last three years from 88 to 103 stations and from 70km to 86km, confirming the recent great development of the metro network. Milan and ATM are therefore ready to face significant increases in ridership during Expo 2015, which will be held in Milan from May to October 2015, offering a widespread and efficient network, an example of best praxis to show also during the June 2015 UITP World Congress and Exhibition at the new conference centre in the Milan’s fair. As far as its extension is concerned, Milan’s transport network confirms its excellence on an international level too: in fact, it is among the first 10 of the +40 European operating networks and it stands in the top 20% of the worldwide public transport networks, followed by important cities such as Vienna, Lisbon, Oslo, Boston, Dubai, Toronto, Los Angeles, San Paolo, Tianjin and Nagoya. 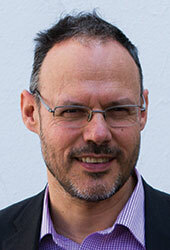 Carlo Bianco is an experienced metro operation executive with over 28 years of experience. He developed his career into ATM group, the operator of Public Transport in the city of Milan, Italy. Carlo recently focused his activity on driverless metro operations and for five years has been Operations Manager for the Copenhagen Metro in Denmark – currently operated by ATM. In 2011, Carlo was responsible for the start-up of the automatic people mover of Princess Noura University in Riyadh, Saudi Arabia. In 2012 he returned to Milan to take responsiblilty for the start-up of the new driverless line 5 which started commercial operations in February 2013. Carlo is currently Operations Director for Automatic Metro Lines at ATM.